With an innate talent for writing from a young age, Pantland passed Vega with a distinction in creative communications, specialising in copywriting. 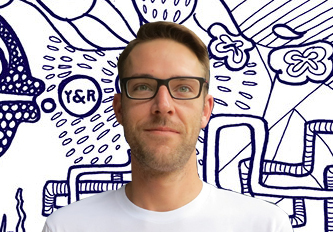 He has since built up a thriving career over the years working at Lowe Bull, TBWA\Hunt\Lascaris and Ogilvy. Rui Alves, Y&R Johannesburg’s Executive Creative Director, talks about how Pantland has over-achieved on many levels, which is why he is so well awarded and respected in the advertising industry at large. His creative awards credentials are extensive and illustrate his aptitude for creativity. His collection of mettle includes accolades from Cannes Lions, D&AD, Clio Awards, One Show and Loeries. Pantland has an impressive portfolio of brands he’s worked on, including Dulux, Axe, SAB, Nandos, Jameson, BMW, Standard Bank, KFC, Cadbury’s DSTV, Coco-Cola, Tiger Brands and the City Lodge Hotel Group, to name a few.